One of the greatest tight ends of NFL history has called it quits. New England Patriots tight end Rob Gronkowski has announced his retirement via Instagram. 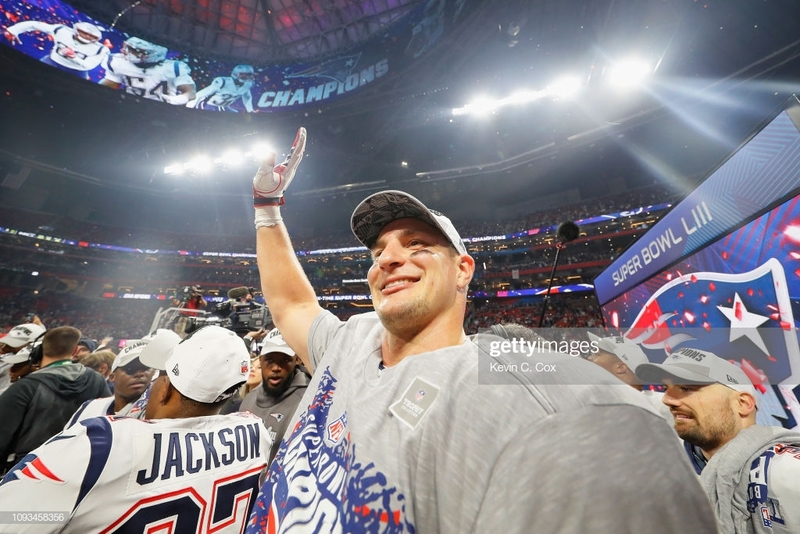 Gronkowski retires on top of the football world, after winning the Super Bowl this past year, his third championship he has been a part of. After getting drafted in 2010 by the Patriots, Gronkowski put up impressive numbers in his opening campaign amassing 10 touchdowns on 42 receptions. His second year saw a huge jump in numbers, crossing the thousand-yard mark receiving and catching 90 passes, 17 of which were touchdowns. His unique size and strength made him not only an elite receiver but an elite blocker as well which only heightened his greatness at the position. The 29-year-old was the most dominant tight end of the decade, finishing in the top 15 in receptions (15th), receiving touchdowns (9th), and yards (4th) in his nine-year career. Not only was Gronkowski elite in the regular season but in the postseason as well. He owns the Super Bowl record for most receptions and yards for a tight end as well as the most receptions in postseason history. The only major downside to Gronkowski was his injury history which has seen him miss numerous parts of a few seasons. His most notable injuries were a forearm fracture in 2012, a vertebral fracture and later a torn ACL and MCL in 2013, and vertebral disc hernia in 2016. Gronkowski was one of the most recognizable personalities off the field due to his carefree and fun-loving personality and would often be seen in a number of commercials and television appearances.